I wasn’t sure how tough it would be to make tortillas. Not only am I a gringo, but I’ve spent nearly all of my life in Boston, which must qualify me for some extra special level of gringo status. I figured I lacked the know-how to pull off any sort of Mexican food, so I looked extra hard for a good recipe. I found one on a blog that oozes Tex-Mex credibility: The Homesick Texan. The freshness of homemade tortillas was something I was not prepared for. They taste like bread, rather than like rubber or playdough – imagine that! And they were easy to make, too. We’re definitely going to be making more Mexican from now on. The tortillas took 45 minutes, from start to finish, and 30 of those 45 were for dough rising and resting. Here’s all you’ll need to make flour tortillas with the Homesick Texan’s recipe, with just a few tweaks. Note that there is no lard or shortening required. Add wet ingredients and stir to combine. 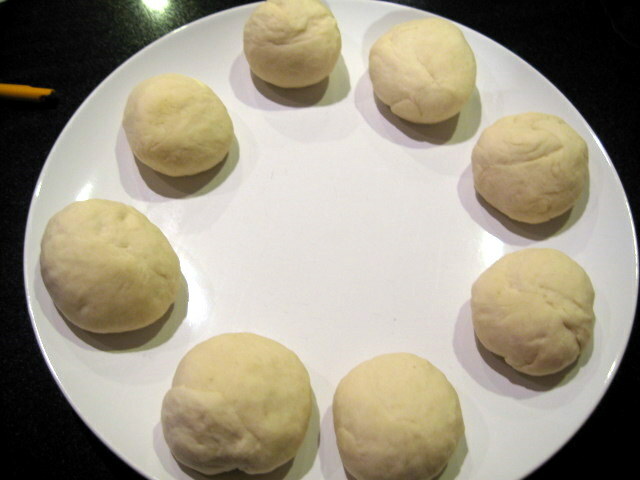 Knead dough for two minutes until relatively smooth and elastic. Cover with damp towel and let rest for 20 minutes. Cover balls with damp towel and let rest for 10 minutes. Heat up a dry cast iron skillet or similar. Don’t put any butter or oil in the pan. Lightly dust your counter with flour and roll dough balls out as thin as you can, to 6″ or 8″ depending on how many you have. 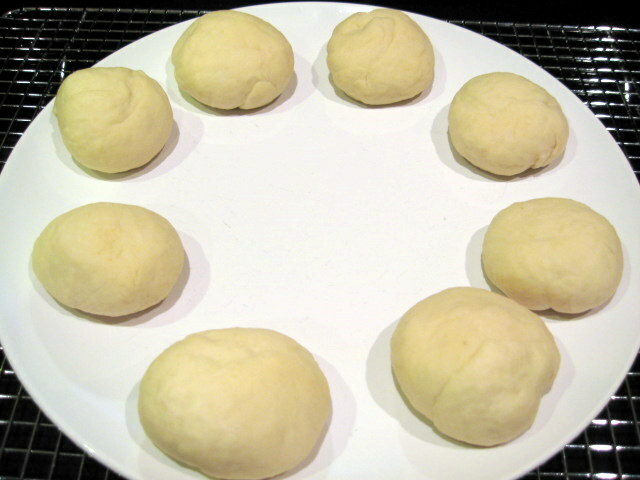 Here’s a trick: Roll them as thin as you can and then lift the edges, stretch, and place down a bit further out. Repeat all the way around the tortilla. 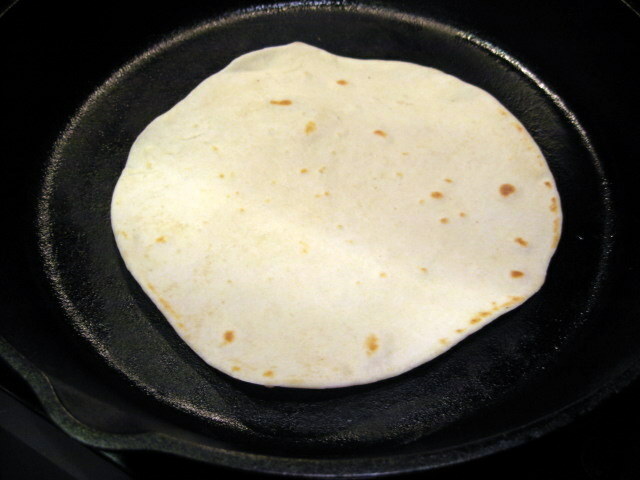 Cook each rolled-out tortilla in the dry skillet for 30 seconds on each side. 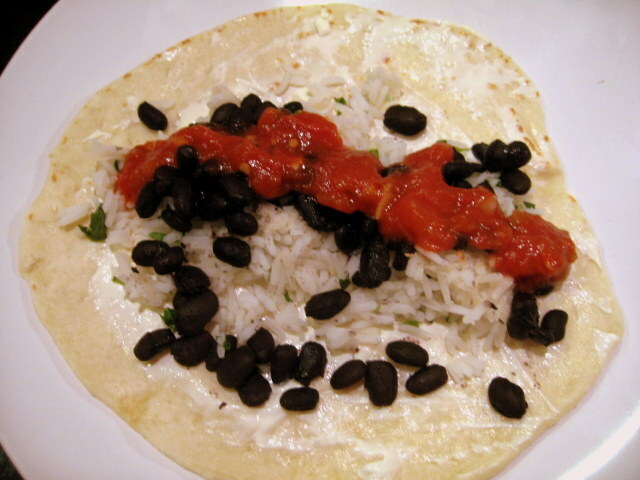 That evening we served our tortillas slathered with sour cream and filled with cilantro rice, home-cooked black beans, and homemade salsa. The ones that we’d rolled out the furthest were the best; the others were a bit thicker than we were used to but still delicious. 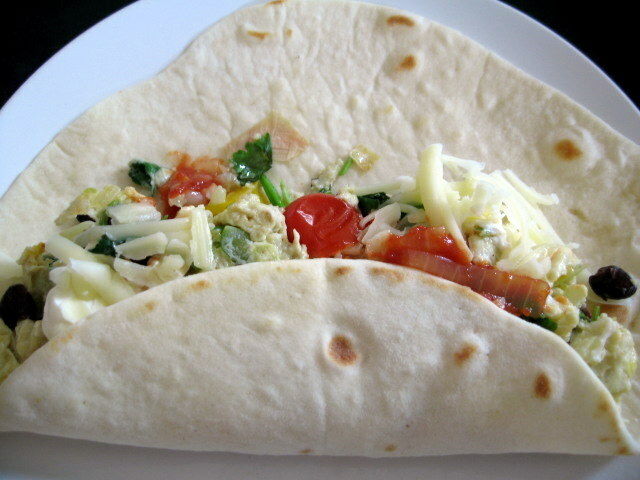 And the next morning, we used the tortillas to make breakfast burritos: 3 eggs, 1/3 cup cooked black beans, 4 cherry tomatoes, 1 tomatillo, 1 tiny pepper, 1 tiny Jalapeno, 1/2 an onion, 2 tbsp fresh cilantro, a little sour cream, a little grated cheddar, and a little homemade salsa. Delicious! These look very professional =). I love your philosophy of making things from scratch – it’s fun to deconstruct some of these foods that we’re used to buying premade. 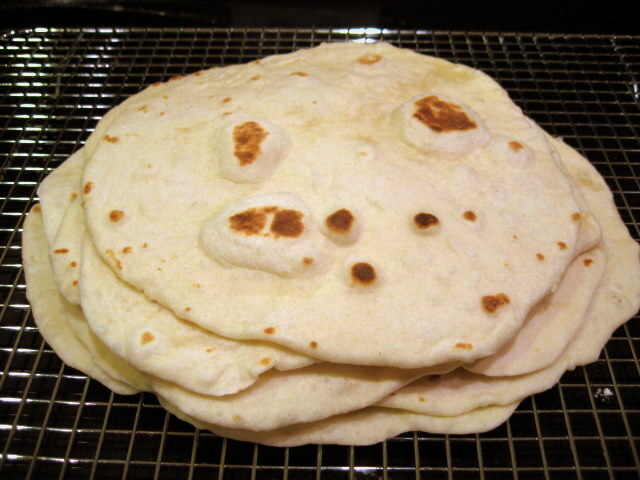 I’ve never made tortillas before, but maybe I’ll give it a try…looking forward to browsing your site! I just “bumped” into your blog today and I’m so glad I did! Like you, I try to make as much from scratch as possible. You’ve given me plenty of inspiration here! I look forward to reading your past and future posts. Keep up the good work! I made these and they are fantastic!